Elon Musk Wants to Save the World—At What Cost? Elon Musk wants to save the world. You already knew that. But did you know just how badly? Seemingly sent from the future on a mission to help humanity, Musk has devoted his life to colossal, almost unbelievable goals, and he has already checked off many of them. In the process, though, one of the greatest achievers of his time has personified the yellow traffic light for entrepreneurs and anyone driven solely by career or business success. To be such a world-changing visionary has required tireless work. Musk has in turn been forced to make sacrifices in some areas most people would say are important to their personal definition of well-rounded success and an enjoyable life. But should he accomplish a few more of his most audacious goals, in the (very) long range, Musk could be remembered as one of the two or three most impactful individuals to ever walk the planet. He seems to have made his choice, prioritizing the effect he can have through business pursuits over a normal, stable private life. Like most leaders with massive ideas, Musk’s pursuits seem driven by giant, life-changing early events, the forces intrinsically intertwined. A snapshot version of his résumé reads like a science-fiction novel that manifested to reality before the reader could finish the book: online banking before anyone knew they might want it (PayPal), mainstream electric cars (Tesla), Mars colonization for the masses (SpaceX), the dream of high-speed, underground, long-distance transportation (Hyperloop), and his current obsession with saving the world from what he warns are the dangers of artificial intelligence. With each high-profile announcement, it is as if the baby-faced South African-Canadian-U.S. citizen with an unplaceable accent is daring the bullies of the world to shut down his efforts to save the world. Time and again, through his ambitious quests, catastrophic falls and epic returns, his brilliance, vision, billions in personal wealth and sheer grit win in the end. 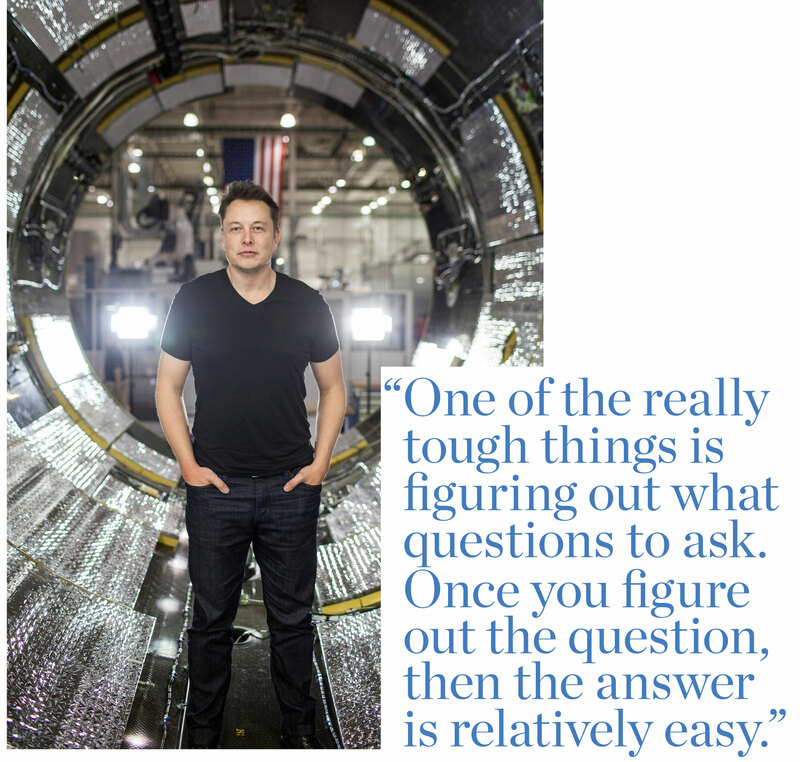 “He always works from a different understanding of reality than the rest of us,” Julie Anderson Ankenbrandt, who worked with Musk at PayPal, told Vance in his book Elon Musk: Tesla, SpaceX, and the Quest for a Fantastic Future. Zen philosophies might have been what sustained the precocious teenager, who read through the entire contents of the local library, then devoured two sets of encyclopedias, irritating family and neighborhood kids alike with his prickly mannerisms and unusual quest for knowledge. Being an actual know-it-all made life lonely and dangerous. Vance details tough high school years when “know-it-all” Musk was shoved down a flight of stairs, beaten until unconscious and stalked by a gang of bullies who went as far as intimidating Musk’s best friend to abandon him. “That hurt,” Musk says. After bouncing around a few prestigious South African high schools (though he was an unremarkable student), Musk headed at age 17 to his mother’s homeland of Canada, a gateway to Silicon Valley that held all of the promise that Musk’s techy mind and raging ambition could muster. After a couple of years of college in Ontario, Musk transferred to the University of Pennsylvania, where a dual degree in economics and physics led right to where he dreamed: Stanford University, in the heart of Silicon Valley. Although academics suited him, graduate school could not hold his attention when competing with the business opportunities outside his door. After two days, Musk dropped out of Stanford, and with his brother Kimbal, started Zip2, which promised to bring the Yellow Pages with driving directions to the then-brand-new internet. This was 1995, and the venture was a classic startup, with the founders and a handful of engineers sleeping on beanbags in the office, working inhumane hours and living off of takeout—Elon and Kimbal literally duking it out in fistfights in the middle of the office. Although Zip2 disrupted the traditional paper advertising space, Musk’s next venture took on global banking. Inspired by his frustrations interning at a regional bank as a student, Musk saw an opportunity to revolutionize the industry. Enter X.com, an online money transfer platform which, in 1999, was inconceivable to most people, and enormously interesting to investors. Despite all of the regulation standing in the way, Musk saw only success. “There were a million laws in place to block something like X.com from happening, but Elon didn’t care,” Ankenbrandt said. Musk’s high expectations and bristly personality didn’t win him many friends, and twice in the first year of business, Musk faced showdowns with his employees—the second resulting in the board ousting him from the CEO seat. The company merged with PayPal, which in 2002 was bought by eBay, netting Musk approximately $180 million after taxes. 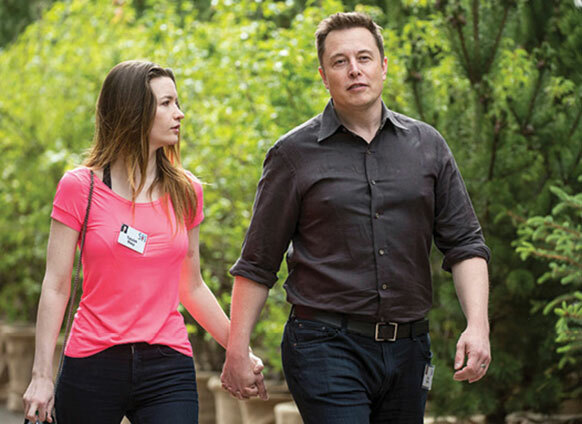 Already a giant celebrity in the small world of Silicon Valley, he by now was starting to catch the eye of the media, which occasionally snapped photos of Musk enjoying his new McLaren sports car with his college girlfriend-turned-wife, writer Justine Wilson (later Musk). After marrying in 2000, the pair had a large family—five boys, plus another who died as an infant. Wilson later recounted the ferocity with which Musk had pursued her in their earliest days, but that he became increasingly controlling as time passed, leaving her to feel subjugated and on edge due to mood swings that Musk went through over business. Soon enough, in 2008, the media jumped on the couple’s nasty, high-profile divorce. Having conquered cyberspace, Musk told friends his next venture would be something that gave meaning to his own life and benefited humanity. 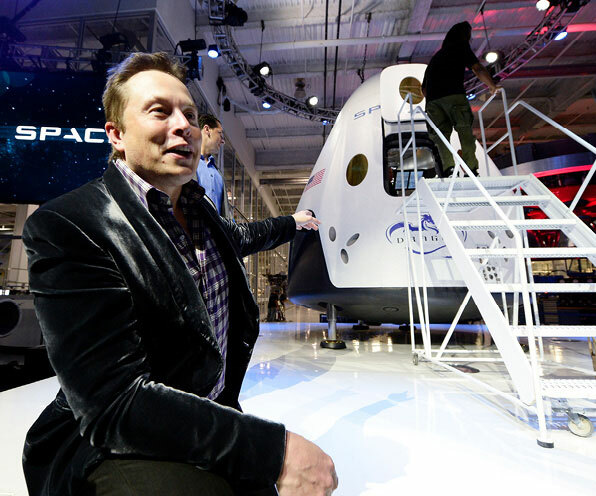 Musk set his sights on his childhood obsession: outer space. But Musk suddenly found himself at the hands of a new bully: Russians. Following that meeting, on the plane ride home to Los Angeles, Musk told his colleagues he thought they could build their own rocket to Mars. 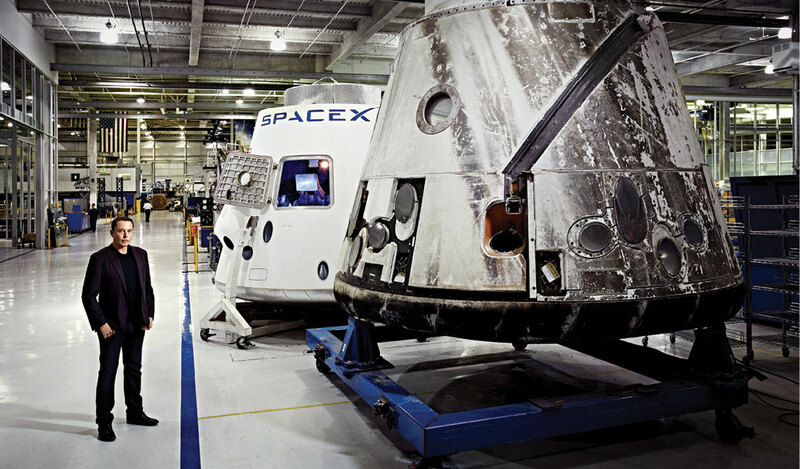 SpaceX, short for Space Exploration Technologies, is one of the most revolutionary businesses of our time. It challenges what most believed was possible when it comes to science, humanity and the role of private business in the future of both. In the past decade, SpaceX’s wins include being the first private company to put a payload in orbit (just six years after the company’s founding), successfully running 10 unmanned vehicle missions to the International Space Station, and winning a $2.6 billion NASA contract to fly astronauts to the ISS. The 2015 launch, return and upright landing of the Falcon 9 on dry land, was a first-ever—important for its massive cost-saving implications, because the rockets can be reused. In fact, a predicted cost estimate by NASA and the Air Force found that the cost to design, build and launch the Falcon 9 was much less than one-third of what it would have cost NASA, in part because about 80 percent of the rockets are made in-house. A couple of years later, after a lawsuit upsetting the longstanding lock on military contracts by Boeing and Lockheed Martin, SpaceX landed two U.S. Department of Defense deals totaling $180 million to launch satellites—signaling a significant new revenue stream for the company that had been succeeding in the commercial realm. Those wins are remarkable on their own. Then consider Musk beating out legacy corporations such as Boeing and Orbital Sciences, which shines a next-level light on those accomplishments. It is one thing to disrupt a digital marketplace with infinite points of revenue; it is quite another to take over a national, single-payer space program inside of a few short years. But by outward appearances at least, what drives Musk’s ambition for space exploration, and Mars settlement in particular, is much bigger than profits, or publicly winning or even beating the bad guys. Musk’s personal life, ironically enough, took on a parallel trajectory. If the extinction event was his expensive divorce from Wilson and the sharing of custody of their five children, the star exploration was his courtship and on-again-off-again relationship with the much-younger British actress Talulah Riley. The two met in 2008, while Musk was separated from Wilson. When Wilson began sharing details of their split in the tabloids, and Musk was painted as having “run off” with the younger woman, he penned a response in Business Insider to defend himself, writing that he and Riley had not met before his problems with Wilson. Ultimately this relationship was no more stable. Musk and Riley married in 2010, announced a divorce in 2012, then remarried in 2013. Another divorce was filed by Musk in 2014, then withdrawn, only for Riley to file for divorce two years later. The split was finalized in late 2016. Relationship turmoil aside, nothing has seemed to slow Musk’s big dreams. Earlier this year, SpaceX announced it will send two paying customers on a loop around the moon, as part of its plans to commercialize space travel. Musk has predicted a model in which trips to Mars would cost $100,000 for private citizens and would grow a Martian colony to 1 million people. In Vance’s book, Musk’s college friend Christie Nicholson remembers a young Musk being obsessed with electric vehicles. “I believe the second sentence out of his mouth was, ‘I think a lot about electric cars.’ And then he turned to me and said, ‘Do you think about electric cars?’ ” she told the journalist. Then, in 2004, Musk discovered Tesla. There are other luxury cars on the market, and there are other electric cars. But Tesla is something else. Aficionados, including the analyst who called Tesla, “arguably the most important car company in the world,” not in the least due to the 14-year-old electric car maker’s reported $10 billion in 2016 pre-sales on the new $35,000 Model 3 (now available), are smitten with the designs: falcon-wing doors, touch-screen dashboard, flush exterior door handles that magically extend when the driver nears the vehicles, an ignition that starts when the driver sits in the leather seat, a sound system that goes to 11. Then there is the performance. Teslas sail from zero to 60 in 2.3 to 5 seconds (depending on the model) in nearly complete silence—leaving the rider’s stomach at start. There are other luxury cars on the market, and there are other electric cars. But Tesla is something else. Musk, contrary to common assumption, is not a Tesla founder, but an early investor who led fundraising shortly after the company was founded by engineers Martin Eberhard and Marc Tarpenning, whom Musk eventually ousted after becoming CEO and investing $70 million of his own fortune. Tesla has vacillated between being a media darling and embroiled in bad press and financial turmoil. The expensive Roadsters are gorgeous, powerful, nothing like anyone has seen. But problems arise. Tesla fails to manufacture on deadline and demands that 600 customers waiting on their orders cough up $9,000 more than quoted. Headlines scream safety concerns when Model S sedans catch fire. The company falters, sells a 10 percent stake to Daimler and takes a $465 million loan from the U.S. Department of Energy before going public in 2010, raising $226 million—a figure that would grow to half the market value of GM and Ford. Eventually, under Musk’s leadership, Tesla is heralded as the great American auto success story of the new century. Musk headed the company through more ups and downs, and once again took on big government. 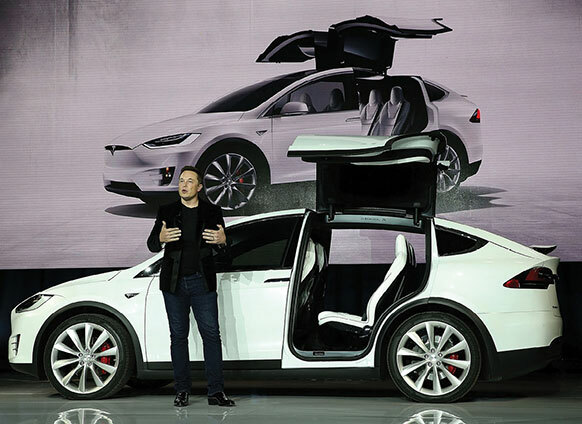 In 2014 Tesla successfully sued New Jersey to overturn laws governing half of the states that prohibit car manufacturers from selling directly to the public. The Federal Trade Commission then joined Musk’s effort to overturn the rest of the states’ laws, just in time for the 2017 shipment of the Tesla Model 3. The Model 3 is the long-awaited sedan with a starting price of $35,000—making the alt-fuel vehicle accessible for the masses. To support its growing cadre of customers, Musk announced Tesla Energy, which would create a network of electric “Supercharger” stations around the world, an antidote to Tesla owners’ pain point of finding a boost when traveling far from home and also an entry point into the green energy market that promises to save the planet. After his PayPal exit in the 1990s, Musk considered investing in solar power but struggled to find a profitable model. Silicon Valley felt the same: Despite heavy investment in alternative energy, the sector struggled to take off. Together with his South African cousins Lyndon and Peter Rives, Musk founded SolarCity, which bought solar panels and financed and leased them to customers, running software to prove to homeowners how much money they saved on their monthly utility bills. This model successfully stemmed consumer reluctance to invest in expensive panels that would probably be quickly outdated, and within six years, with Musk as chairman and the biggest shareholder, SolarCity became the largest solar panel installer in the U.S. and went public in 2012. Tesla partnered with SolarCity to build and sell battery packs that supplement solar panels and began installing the panels on its supercharging stations. Late in 2016, Tesla bought SolarCity for $2.6 billion. Taking a broad view, the Musk companies work in synergy: Tesla addresses the fossil fuel problem, which inspires Tesla owners to invest in solar panels for their homes. SpaceX is motivated by the belief that life on Earth is probably timing out, at least in part, because fossil fuels are likely to cause its demise and life on Mars might be the only answer. 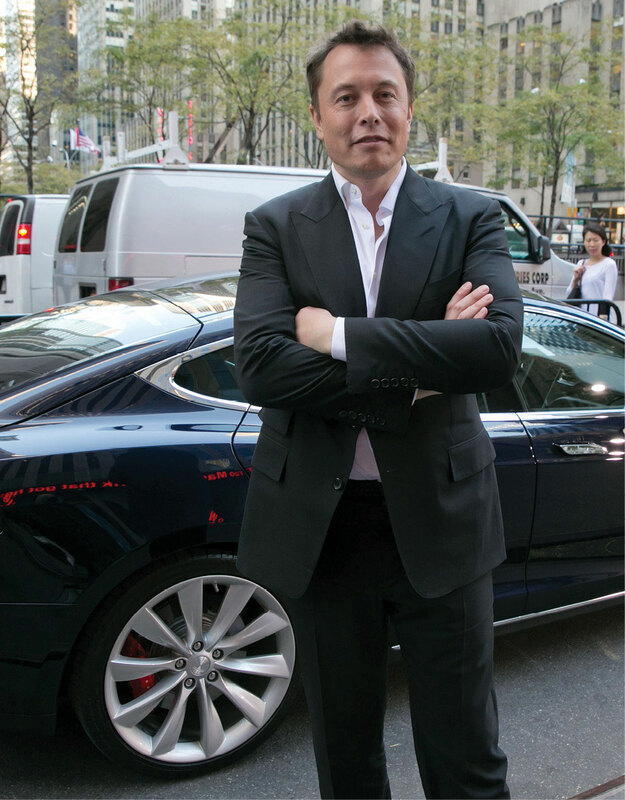 With his companies mostly thriving, Musk’s wealth and celebrity mean he is no longer the weirdo underdog wonder boy, instead looked to as a trusted futurist, and one of the greatest innovators and entrepreneurs of our time. Musk, famously, was the muse for Robert Downey Jr. when he was preparing for his role as the existentially complicated billionaire tech industrialist/superhero Tony Stark—Iron Man—in the recent blockbuster movie franchise. It’s a classic marketing tactic: Illustrate an enemy, instill fear in your audience, then sell them the antidote to fight the bad guy—rendering you the hero. Whether the enemy is global warming, the bad guy in the video game or technology itself, Musk’s quest for a better world, whether on this planet or another, continues to grow. Musk’s recent ventures include OpenAI, an open-source not-for-profit company that aims to mitigate the dangers of corporations and governments becoming too powerful. OpenAI is backed by $1 billion in pledges from Musk’s tech friends, including Y Combinator’s Sam Altman. Speaking at the Massachusetts Institute of Technology, Musk said: “With artificial intelligence, we are summoning the demon. You know all those stories where there’s the guy with the pentagram and the holy water and he’s like, yeah, he’s sure he can control the demon? Doesn’t work out.” Musk’s recently founded Neuralink aims to develop chip technology that would be implanted in the human brain to merge human thought with software to stay ahead of artificial intelligence and improve human mental performance. Other ventures include Hyperloop, a solar-powered mass transit system that promises to whisk passengers from Los Angeles to San Francisco in 30 minutes at 800 mph. 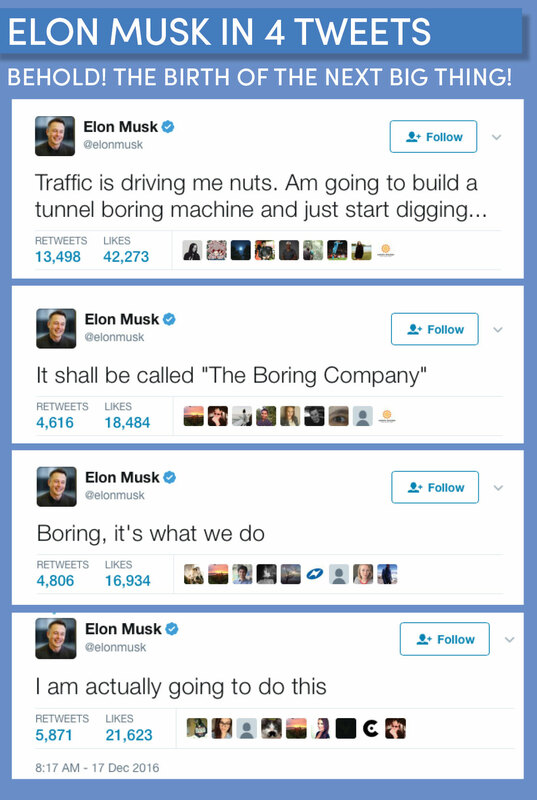 The Boring Company, inspired by his own frustrations of sitting in a traffic jam, will open roadways underground by creating new, freeing underground tunnels. 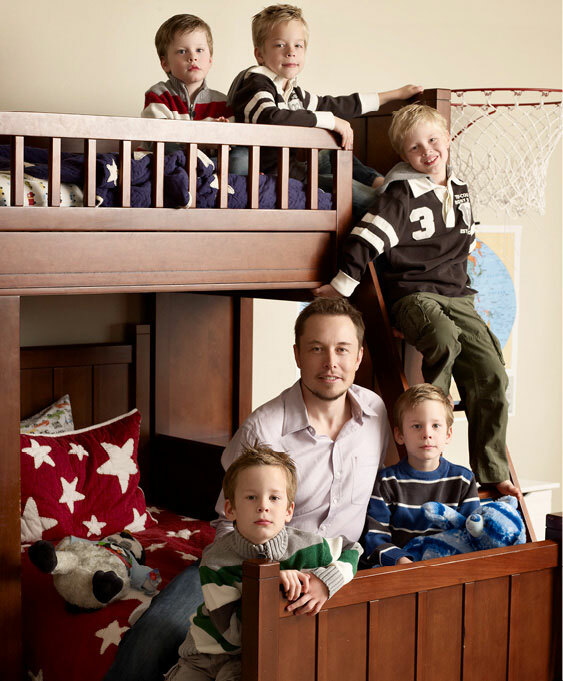 In a lengthy 2010 essay in Marie Claire, Justine Musk, who shares custody of Musk’s five sons with her ex-husband, detailed her relationship with the entrepreneur. It reads as a telling—if sometimes painfully honest—account of the glamour and challenges of committing to a passionate, brilliant man used to getting his way. The romance started with Musk hotly pursuing the popular Wilson when both were students at Queen’s University in Ontario and ended with him refusing her requests to change the dynamics of the relationship, which she felt reduced her to a pretty subordinate. Being a maverick has made Musk a success in business, but that spirit doesn’t necessarily translate to relationships. The challenges of people who are wildly successful in their professional and financial lives but struggle in their closest relationships is hardly specific to Musk. After all, magazine and TV tabloids (now blogs and Instagram accounts) have long thrived on reporting scintillating details of the larger-than-normal breakups and marriages, affairs and reconciliations, family and friendship feuds of the very rich and famous. Laurel Steinberg, Ph.D., is a therapist with an office on New York City’s 47th Street, in the heart of Hedge Fund Row—many of its inhabitants are her clients. 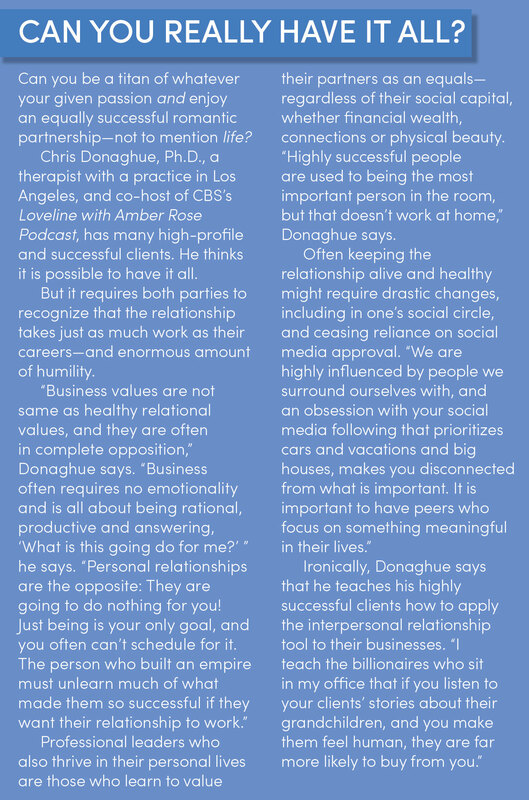 Although this chase-and-capture can be repeated in the professional world, it’s possible for highly ambitious people to apply the same formula, unconsciously, to their personal relationships with disastrous results. Steinberg points out that many powerful individuals are used to being in charge and always having their way, which creates big challenges in a romantic partnership designed to be equal. “Then it becomes a parent-child dynamic,” Steinberg says. Most recently, Musk has been linked to actress Amber Heard (Justice League). Three high-profile divorces and a handful of tabloid romances do not rank Musk in the record books for personal drama. Some accounts portray him as an actively involved dad more than willing to bring his five sons on his private jet for vacations. And despite the still fervent approach to his work, he might even be making strides in finding his own balance.